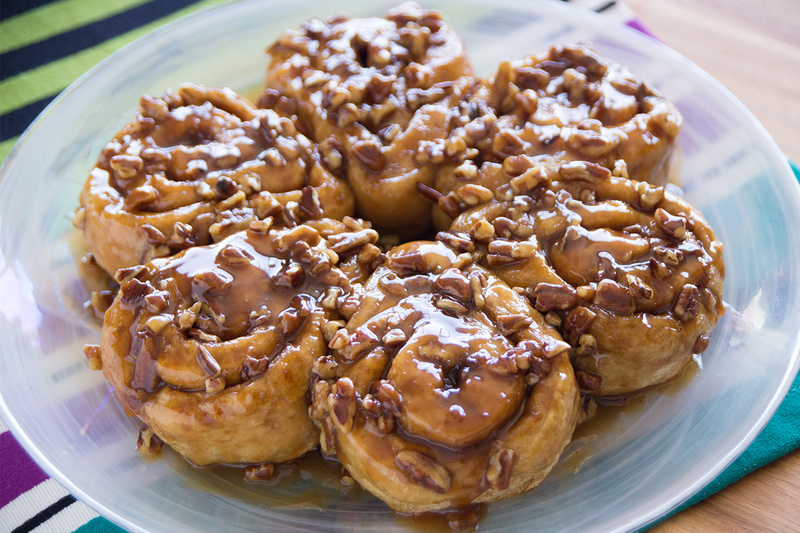 A quick and easy gooey treat for your family and friends! Spray a 9 inch glass pie pan with non-stick cooking spray. Pour caramel topping into pan. Top with pecans. Space rolls evenly in the pan over pecans. Bake in microwave for 6 minutes. Remove from microwave and invert onto serving platter (be careful, caramel will be very hot). Serve warm.